In reality, clinical hypnosis isn’t like that. When you’re hypnotized, you can hear what’s being said, you’ll know where you are, you might hear sounds like car traffic going by outside, but you’ll be very focused on my voice. Not everyone is readily hypnotizable. Sometimes you have to really practice and learn how to be hypnotized. Other people may be quickly hypnotized. There’s no right or wrong, good or bad about it. But before I hypnotize anyone, I talk about the process, discuss why it might be helpful for you, answer any of your questions or concerns, and get your consent before beginning. If you’re not comfortable doing it, we certainly won’t. Why would someone agree to be hypnotized? 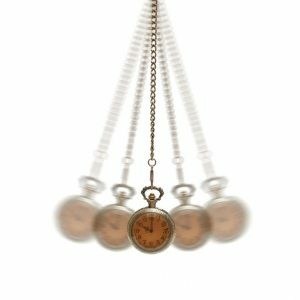 Hypnosis is a tool like many others used in therapy. There could be lots of reasons someone might want to get hypnotized. For example, I often use hypnosis with people troubled by anxiety or depression. Hypnosis can be really helpful for starting a good habit or stopping a bad one. It can also be used for pain. When I gave birth to my son, I wanted to do it naturally without any drugs, but I didn’t exactly want to be in a lot of pain either. About 2-3 weeks before his due date, I began to listen to a hypnosis recording. I practiced for 30 minutes each day listening to this recording that was helping me ignore pain by imagining bobbing in the ocean. As I imagined going up to the top of each wave, it was a sign that the pain was going to grow, but I would see that just ahead of the top of the wave, things would get better and I would continue to relax as I went down the other side. I didn’t anticipate, cringe, or hold onto the pain. Nor did I pay much attention to it. I just bobbed around the waves imagining soothing, relaxing water. I was able to do that for over 10 hours with more powerful and back-to-back contractions showing up on the monitor. I never screamed, gasped, or wished it was over. It was an amazing experience.